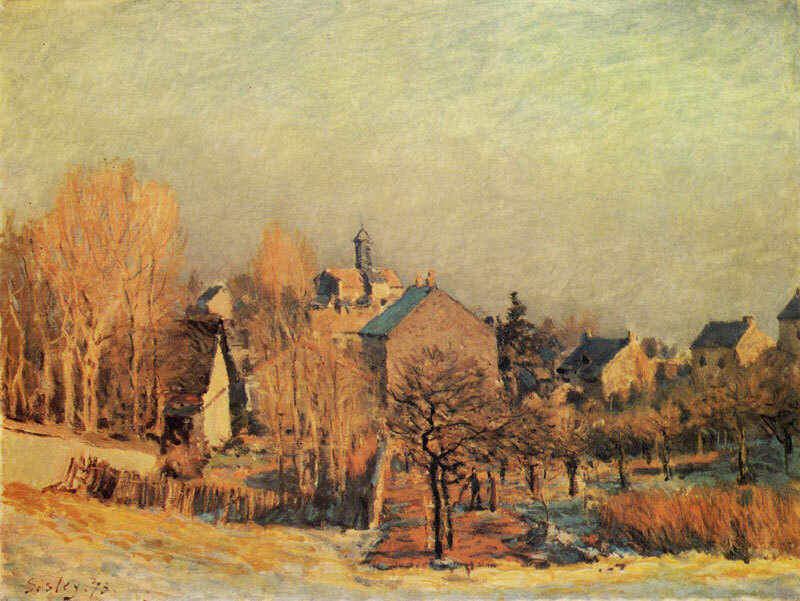 F. Daulte refers to the Pushkin Museum picture as The Garden of Hoschede at Montgeron and states that it was executed in 1881 and is Sisley's only view of Montgeron, where Ernest Hoschede, a well-known Parisian banker and one of the first collectors and enthusiasts of Impressionist painting, had his estate. The picture was bought by Ivan Morozov from Durand-Ruel for 40,000 francs in Paris on November 20, 1904. Oil on canvas. 46 X 61 cm. Inv. No 3420 Signed and dated lower left: Sisley 73 In 1873 Sisley painted several views of Louveciennes and its suburbs, all of which, however, greatly differ from the Moscow picture. The latter was bought by Ivan Morozov from Durand-Ruel in Paris in 1903 for 11,500 francs. 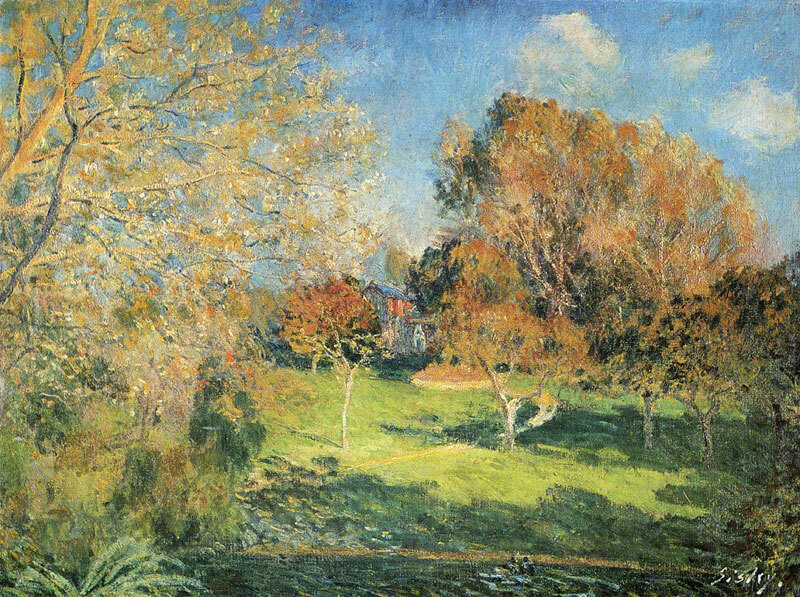 Durand-Ruel purchased the landscape for 9,300 francs at the sale of the Strauss Collection at the Hotel Drouot on May 3, 1902.